Kakumi Kobayashi and Toru Takei - The Japan Times - 20/12/07 - Will missile shield increase U.S. sway? Bill Sweetman - Aviation Week - 18/12/07 - F-35B rolls out-What is it for? Michael Rosenwald - Washington Post - 17/12/07 - Downside of dominance? Stan Beer - IT Wire - 2/12/07 - World on the brink of cyber warfare? Bill Sweetman - Aviation Week - 16/11/07 - My JSF is stealthier than yours, or is it? Cheng Ta-Chen - Taipei Times - 02/11/07 - China's arms sales may press U.S.
News Report - Defense Industry Daily - 25/10/07 - F-35 to Israel early? Sharon Weinberger - Defense Daily (cite) - 26/09/2007 - Air Force Bomber: Will It Fly in 2018? Tom Hyland - The Age - 16/09/2007 - Hornet's nest - are we buying? Eric L. Palmer - F-16.net / F-35 Lightning II News - 06/09/2007 - Does Congress have a grasp on the reality of the JSF program? Steve Levenstein - InventorSpot.com - 11/08/2007 - New JASDF Stealth Fighter Jet to be "Made In Japan"
Noah Shachtman - wired.com -10/08/2007 - Dolce & Gabbana Cockpits for Stealth Jet? Dr. Steve Carol - Canada Free Press - 07/08/2007 - Is there no other policy except for a failed one? Editorial - FlightGlobal.com - 06/08/2007 - Will Iran provoke a Mid-East arms race? Rajat Pandit - The Times of India - 23/07/2007 - After 123, is it turn of 126 jet deal? Joe Katzman - Defense Industry Daily - 15/07/2007 - F-22 Raptors to Japan? 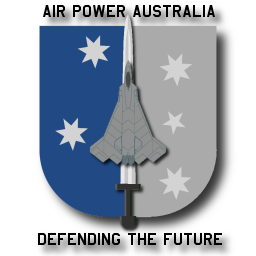 Editorial - Dedefensa.org -13/07/2007 - A Raptor for All Seasons: After Japan, Australia? News Report - FlightGlobal.com - 05/06/2007 - EXPORT READY? Bill Gertz - The Gertz File - 01/06/2007 - Inside the Ring: U.S. carrier help? Dave Hirschman - The Atlanta Journal-Constitution - 12/05/2007 - Sell Raptors to Japan? Asian ally shows interest in the Marietta-made planes, although obstacles would have to be overcome before they could be exported. Mark Colvin - ABC Radio National - PM - 08/05/2007 - Budget Special: How much is too much? Lieven Dewitte - F-16.net - 28/04/2007 - U.S. to lift ban on F-22 exports to Japan, Korea and Israel? Interview - ABC Radio National - The National Interest - 15/04/2007 - Joint Strike Fighter: enough bang for our billions? Blake Hounshell - ForeignPolicy.com - 28/03/2007 - Is China building an aircraft carrier? Andrew Davies - ABC News Online - 07/03/2007 - Will Australia be stung by the Super Hornet decision?